I finished disassembling my D5100 and was getting ready to install the baader filter. I am not sure how to proceed however. Looking for help from anybody who did this before. I am installing a BCF-1 filter. 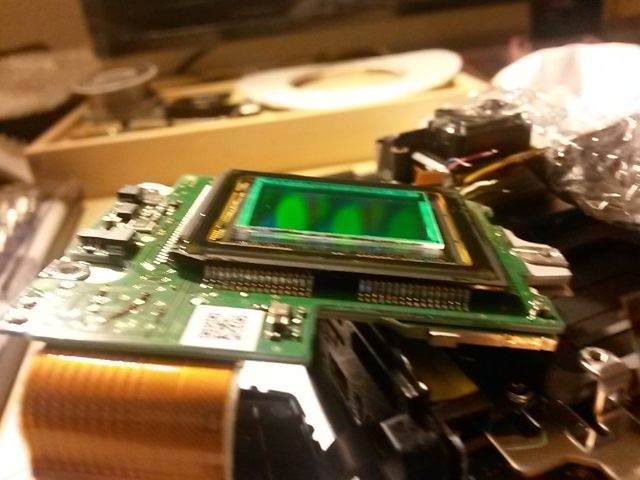 The camera is now disassembled, I can see the dust filter glued to the IR/UV filter. I can simply desolder them to remove. However, once I do, I am not sure where to put the BCF-1 Filter. There is a rubber holder that the CMOS sits into. I think the BCF goes there. The BCF just sits just exactly right in the holder. I am however concerned that it might come loose once I close everything up. Do I need to use some sort of adhesive? Uh, would you mind telling me how you dismantled your D5100? And more importantly, how big a task is it? The 5100 is not listed but it shouldn't be much different from other models. Thank you campos. I had also seen the site. Unfortunately, they are not using a BCF1 which is smaller than their filter hence the difference in mountings. I bought the BCF1 based on reading on CN that it is compatible with D5100. 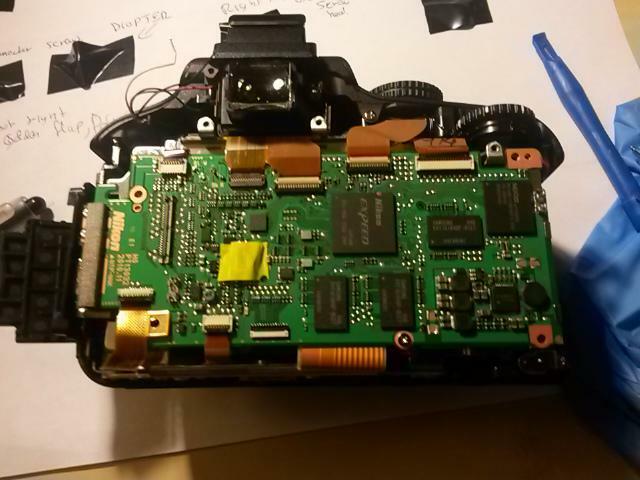 Hopefully one of the professional modders with Nikon experience will chime in with a bit of advice. Anybody... 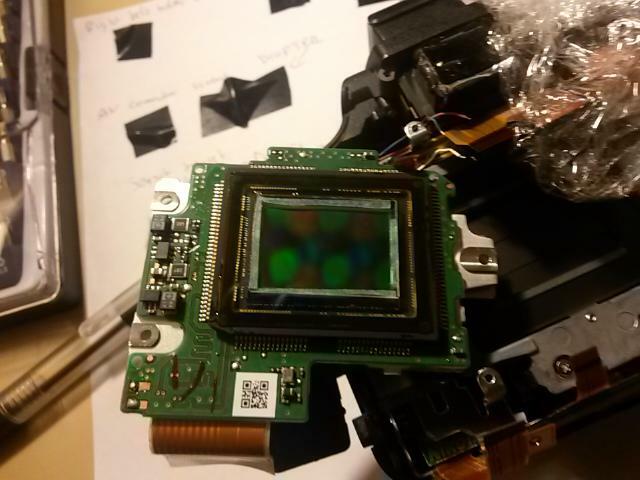 I am really bummed about having having my camera in pieces not being to image... Thanks. I followed a couple of links. The job is not especially difficult. It took me 45 minutes to remove the screws and desolder 4 leads on the motherboard. It took that long as I was making sure to label and stick together screws. Look at ifixit link referenced there. Next is this from life pixel. But frankly the first link is all I needed. More pictures of where I am in the process. 1-Remove dust filter and current filter (as seen in picture above) and Use 1mm adhesive tape and glue new filter to current sensor package. 2-Remove Dust filter and try to detach old IR/UV filter and attach the new one (might break something, not sure). I have a D5100 that has thrown an Autoexposure Error and I wonder if perhaps replacing the board would solve it. This is an interesting thread, I'll be following up on it! There is no problem if you use a bit of silicone to secure the new filter in place, just 4 small blobs at the cornes will do the trick. On Canons you can remove the dust cleaning filter, just disable the auto cleaning function before you open the camera and it will work fine, on Nikon's I'm not sure if this works too, IMHO removing the dust cleaning filter would be better for astro, but then again I'm not sure if it will bring any error message once it's powered back on. 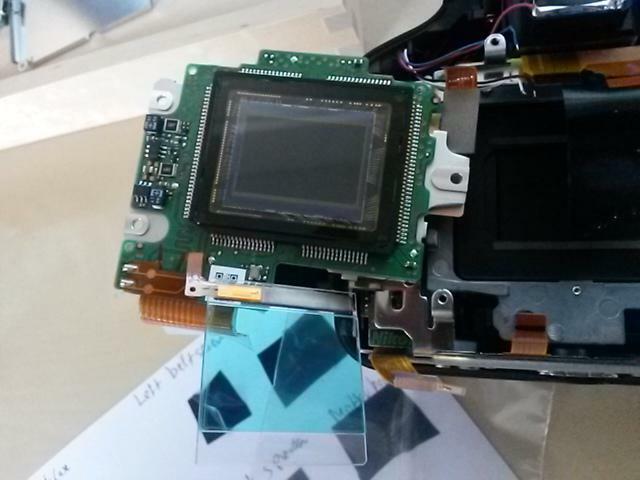 "The double sided tape is a great way to affix the filter to the sensor. I would NOT attach to the rubber covering of the sensor but on the actual sensor clear glass. And yes, just De solder the original filter and put it safely away in case u you decide to revert the camera at a later time. " I will use some 2mm tape for cell phone screens to affix the new filter. Something like this, they have a 1mm type, but with long lead time, I will just have to limit the contact area to avoid covering the sensor.  I saw a few motherboards on eBay from $100.00 - $125.00. I will try and post before/after baader filter mod pictures. Indeed, good luck, braver than me. I've built every one of my computers from the ground up, but that looks way beyond my skills. Post some AP's as soon as you get finished. 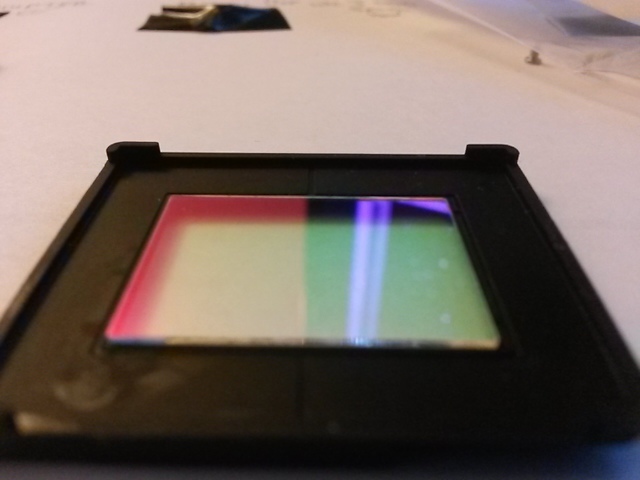 The Baader filter is not much larger than a standard APS-C sensor, so you need to use very thin strips of tape in order to minimize the chances of a "mechanical cropping" of the image/sensor. 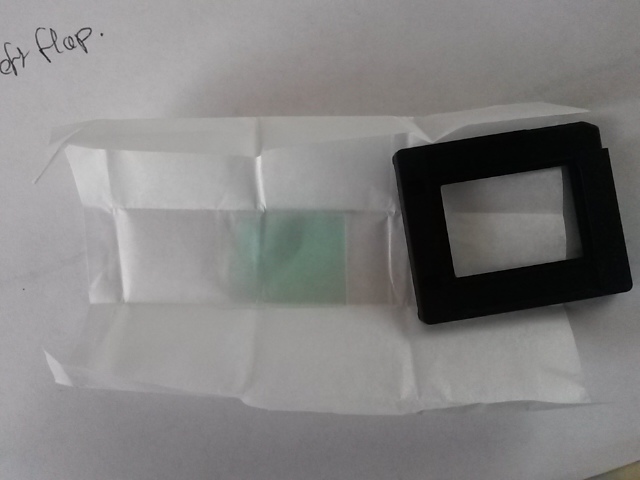 Best thing to do, and you may have done this (but hard to tell from the images here), is to attach the double sided tape to the sensor first. And when you do, install it so that there is at least ~1mm or more gap between the sensor edge and the tape (when looking straight down at the sensor. Now, that brings up "what is the edge of the sensor?" The Green rectangular area in the middle is the only "used" part of the sensor...the gold areas/borders are NOT used..so feel free to cover those up.. Thanks for the advice. Unfortunately I only just saw this message. I do indeed have minor cropping issues. Not a big deal but I wish I saw your message before putting it back together. Yea, hard to beat results like that! Nice work!